DM Auto Leasing - Worst customer service ever!!!! I contacted DM auto lease a week before Christmas to establish what vehicle I was looking for gave the lease agent to options on cars because I knew the first option would be hard to find for the right price . I have the leaae agent all of my information needed to make and start the transaction. We got off of the phone he stated that this was all that he needed and that he would get started after Christmas and I as a manager of a Walmart respected that this was a busy time of the year for the company DM auto lease. I received a phone call from the sales agent on the Saturday after Christmas with the agent asking if I was still interested in the vehicle and I established again that I was and what vehicles I was interested in.Why would I give out my address social security and personal information if I was not serious in doing business with this company. I was told at the end of the phone call on Saturday that he would call me back on Wednesday 01/02/2012. This phone call never happened instead I picked up the phone and called him right at 5pm the office closes at 6pm his first statement was glad you called and we spoke about the same things I talked about when I initially called DM auto lease he than told me he would call me right back as he just thought about something yet that call back never happens . If I'm not your target customer let me know however I was drawn to this company by your great reviews. Review #313263 is a subjective opinion of User313263. The lease agent rectified the situation got me the car I was looking for sold my current car I was upside down on and got me the best deal around. 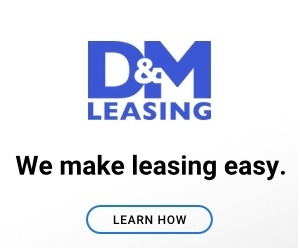 I appreciate DM Auto Lease for the service and I plan to be a customer for life.